You may have guessed that I'm a big podcast listener. What you might not have known is that I'm a huge fan of Stuff you Missed in History Class and Stuff you Should Know. So, fair warning to my libertarian and conservative friends: Do not listen to any of Josh and Chuck's Stuff you Should Know podcasts that have any significant political content. At least, don't listen to them if you want to avoid apoplexy. Politics isn't their specialty, and Josh really just can't help himself. He's a leftist through and through and what he sees as nonpartisan is generally aligned with what Chris Matthews sees as nonpartisan. For example, their recent podcast on the debt ceiling made me want to scream. First, they called the tea party extremely partisan. While some members of the various tea party groups are, the only unifying principle throughout the movement is fiscal responsibility. Tea party members don't agree on much, but they agree that crushing, multigenerational debt is immoral and unjust to our children and grandchildren. 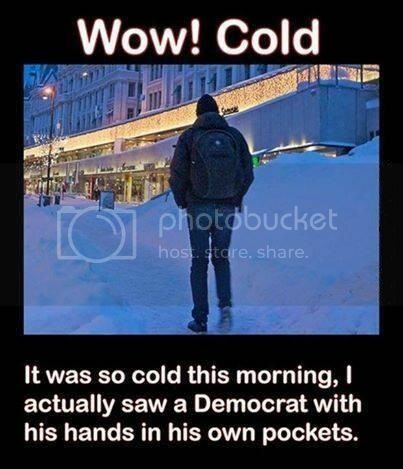 Many people who consider themselves Democrats, Republicans and Libertarians all believe this strongly and were in agreement with the tea party movement at least until the media and major political parties started vilifying it. That's by definition a nonpartisan movement. Josh went on to blithely throw out the "fact" that Greece proved austerity doesn't work. Excuse me? Really? Here's one post that debunks that mistaken idea. Europe has tried “austerity” since 2008, but the United States has not. The meaning of austerity is different over there: higher taxes on the people, with only a little more spending. While dancing on the grave of austerity, the Keynesians sing a song of higher spending. Excess debt is fine, they chime, so high spending is nothing to worry about. Contrary to Blodgett, all we have done since the 2010 elections is to keep the increases in government spending at bay. We are still spending an outrageous amount, and not getting anything for it. Stimulus spending will continue to fail, because government spending, in and of itself, does not promote economic growth. There is no point going ever further into debt when doing so will not help. So, if you aren't a Leftist and you don't enjoy yelling at your podcasting device, anything by Stuff you Should Know on politics is probably best simply skipped. Save yourself the aneurysm. The rest of their stuff is great. They're informative and entertaining fellows, and having had a few e-mail exchanges, I can tell you they're nice guys as well. If you're not familiar with the language being used, what that means is that there's not a fixed amount of wealth in the U.S. So one person being rich does not take from you or anyone else--a rich person isn't making anyone else poor because she's rich. A good idea and hard work will actually create wealth. This is demonstrated by the fact that the wealth of Americans grows over time, or at least it has consistently through history. The total amount of stuff and wealth we have is far greater than our grandparents had and there are more people here today then there were then. Clearly, wealth grows if used well. It's not a fixed amount that never changes. ...raising the minimum wage may not be an effective way to help those least well-off. Joseph J. Sabia of San Diego State University and Richard V. Burkhauser of Cornell looked at the effects of increases in the minimum wage between 2003 and 2007. Consistent with some other studies, they find no evidence that such raises had any effect on the poverty rates. This is an odd one. There are many reasons raising the minimum wage doesn't help people at the bottom, but despite the economic reality, people still think it's a great idea. They're just not following the data at all. Because it polls well, politicians keep doing it even though it seems to be hurting the poorest among us. One big issue is that if you make it too expensive to hire an entry level worker, employers won't do that, so minimum wage jobs that teach the basic skills a worker needs to move on to better-paying jobs that require more qualifications disappear. the income inequality frame contributes to our tendency to simplify complex cultural, social, behavioral and economic problems into strictly economic problems. In short, many of our own behaviors are the problem, not the wages being offered. Young men are choosing to engage in criminal behaviors that make them undesirable to employers. Poor life choices lead to low social mobility. I'd encourage you to go read the whole column. If you're interested, I have more to say, too. The term "income inequality" is ludicrous if you stop to think about it. Pay is based on skill. If you have rare and valuable skills, you'll be paid highly. If you don't, you won't. It's the same reason gemstones are precious--they're rare and desirable. Obtaining those skills can involve a lot of effort. A neurosurgeon will spend at least 4 years in college, at least 4 years in medical school and very likely 8 years learning to operate on a human brain. She'll incur a lot of debt in the process. With those valuable and rare skills she's learned, she should anticipate being able to pay back that debt and afterward, being able to live well. Should she be paid the same as someone who's skill is to dig ditches and move rocks? Or should the manual laborer be paid the same as she is? Trying to insure equality of income is also known as enforcing equality of outcome instead of equality of opportunity. To go by a shorter name, it's called communism. How did communism work out the in the U.S.S.R.? Ask anyone who went to a low-paid doctor or dentist under the system. People who aren't paid well for the hard work of obtaining rare and valuable skills don't bother to work hard in the training process and they don't do good work once they have their substandard skills. The result is bad for everyone. So, yes, your airline pilot should be paid more than the guy who flips your burgers. And no, entry level jobs shouldn't pay enough to sustain a family of 4. They're supposed to provide training so you can get a better job. Income isn't supposed to be equal, and when governments try to make it so, everyone loses. If you've followed my blog for a while, you'll know that I've been impressed by Patrick Moore. He's made a tremendous case for increased use of nuclear energy, and was one of the sources that influenced my conviction that our future lies in some form of nuclear power. I wrote more about that here: Going Glowing Green. Patrick Moore, one of the several founders of Greenpeace, left when the organization decided they wanted to push government to ban chlorine. At the time, Patrick Moore thinks he was the last trained scientist with Greenpeace. He explained you can't ban a naturally occurring element. It just wasn't a reasonable thing to attempt to do. Greenpeace decided to try it anyway. Patrick Moore left and founded Geenspirit. My old links to that site don't seem to work, so perhaps he's moved on from that. Now Greenpeace is actively engaged in rewriting history to eliminate any record of Patrick Moore because as a trained scientist, he's become skeptical of the anthropogenic theory of global warming. Note that that's what good scientists do. If a theory is not supported by empirical evidence, if the modeling behind it keeps coming up wrong year after year, a scientist should be skeptical of the theory. That's the difference between a scientist and a religious zealot. So, I applaud Mr. Moore for his integrity to scientific principles and can only shake my head at the religious zealots of Greenpeace who are evidently dedicated disciples of the prophet Al Gore. There's been renewed discussion on Israel and Palestine following a banned ad featuring Scarlett Johansson. We've been trained in the U.S. to abhor and oppressor and support the oppressed. That's not a bad thing, but the mainstream media has it wrong on Palestine. Here's an article from the Jerusalem Post that lays out the details, and I'll copy some below in case it's ever taken down. This gentleman is referring specifically to the peace talks President Obama was trying to insist Israel hold. Yes, this is from a Jewish perspective. I'll explain why that's just fine in just a bit. Fact 1: There is no such thing as an Arab “Palestinian.” Before Israel’s statehood in 1948, the name "Palestinian" meant a Jewish person living in that land, not an Arab. The word Palestinian became associated with Arabs only later, when Yasser Arafat artificially created a new so-called nation of Arab "Palestinians," many of whom came from and have direct relatives in neighboring countries, such as Jordan or Egypt. By 1948 enough Jewish people had returned to the land to establish the modern Jewish state of Israel. So all the world should know that there never was a "Palestinian Arab" state, nor even a "Palestinian Arab" people. They should know that all the Arabs living in the Israeli territories came from neighboring Arab states. Fact 2: There is no opportunity for peace without Israel’s recognized right to exist. Israel has offered at least three times some 97 percent of Judea and Samaria (the West Bank) to the Arabs, and each time the Arabs have refused. Netanyahu concludes that the Israeli-Arab conflict is not about real estate, but rather about the explicit right of a Jewish state to exist. "It is over our existence in any borders whatsoever," he stressed. Fact 3: Jewish settlers have greatly improved their traditional land of Judea and Samaria. Arabs claim that the Jews have stolen their land when in reality the Jewish people who have built beautiful homes and thriving communities in the areas known as Judea and Samaria have simply rebuilt the towns and villages of their forefathers. The international community also calls these settlers, "occupiers," and charges them with being obstacles to peace by seizing land that belongs to the so-called "Palestinian Arabs." They obviously blind themselves to the fact that there never was a "Palestinian Arab" state on that land. The original idea of a "Palestinian Arab" state only arose in 1993 with the Oslo Accords. Prior to that the land was basically undeveloped swamp land until Jewish people started returning to the land around 1900 in the Zionist movement. Fact 4: True and lasting peace between Israel and the Arabs is unachievable until the Arabs agree to become a legitimate partner for peace. Netanyahu has pointed to the hostile rhetoric of Hamas, coupled with "Palestinian Arab" leader Mahmoud Abbas' efforts to reconcile with the terrorist group, as the primary reason that such peace is simply not possible. Last summer in Gaza Hamas leader Khaled Mashaal spoke to thousands of Gazans declaring that "Palestine is our land and nation, from the Mediterranean Sea to the Jordan River, from the north to the south, and we will not cede one inch of it." He went on to insist that political, diplomatic and legal efforts to achieve control of the land "must be coupled with violence." He stressed that all non-violent methods are "senseless." Now I'll move on to why that perspective should matter. Israel is the only country in the region that voluntarily uses democratic principles in its governance. We forced such governance on Iraq, and we can't be sure it will last. Israel is the only country in the region that won't execute you for being openly homosexual. If you support gay rights, you should be supporting Israel. Israel is the only country in the region that treats women as equal citizens with men. If you support women's rights, you should be supporting Israel. Israel is the only country in the region that offers full religious freedom. Israel is fine with you being a Christian, Jew, Muslim or any other faith and they won't penalize you for your beliefs. The Muslim countries surrounding it will limit your rights if you are not Muslim. The Muslim citizens of those countries may choose to execute you, with or without government approval if you do not join their faith. NonMuslims will at best be treated as Dhimmi. If you support the individual right to believe or not believe, you should be supporting Israel. Israel simply isn't the bad guy in the Middle East. The reclaiming of ancient Jewish lands of Judea and Samaria isn't oppression, and if they'd stop sending rockets and suicide bombers into Israel, Palestinians would live in full fellowship with Israelis. Only Arab Muslim hatred of Jews is preventing that reality. Israel is not the oppressor and they believe in human freedom. Women can drive and you can worship or not worship who you want there. It's time for the American Left and Media to stop supporting the wrong side of this argument. 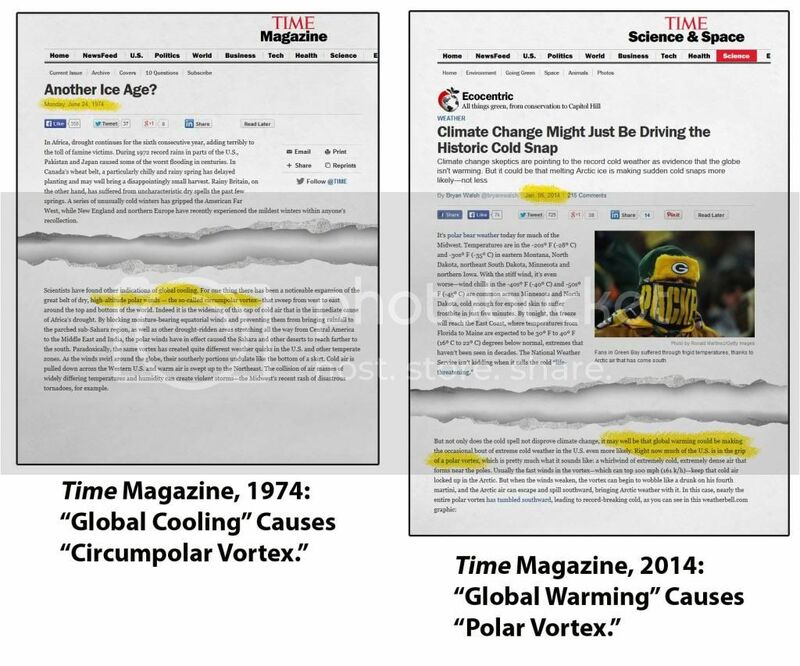 In 1974, Time Magazine blamed the cold polar vortex on global cooling. For the ecochondriacs to convince you of anthropogenic global warming, they have to assume you're either stupid or have no memory. It isn't reasonable to claim the same weather event in different decades is caused by opposite climate change scares. As I've pointed out in the past, Earth's climate has always changed. That's the only constant in recorded and scientifically reconstructed weather history. So, you can't just call your cause "climate change" because that's a given. You must claim anthropogenic warming or cooling and prove your case. The current movement hasn't done that, and they're panicking as their case is further undermined by mounting evidence against their claims of anthropogenic global warming. Here's a link to the full image at photobucket. There are welcome clouds over Northern California that might bring us a bit of much-needed rain, but it won't be enough to stave off drought. Californians are being urged to conserve water. In the midst of this crisis, there's something Los Angeles can do right now to help. I found the information in a Time article linked here. Finally, there is the kind of water that we throw away: wastewater. We should recycle it. And we already do. The city’s wastewater treatment facility in El Segundo is an engineering marvel that treats dirty water and sends it into the ocean. Every day, L.A. pours nearly 300 million gallons into the ocean. Yes, that bears repeating: we dump millions of gallons of highly treated water into the Pacific Ocean every day. Right now, Orange County takes wastewater and treats it to ultra pure levels, producing 10 million gallons a day of water that is superior to bottled water in quality (both by chemical analysis and blind taste tests). In the OC, they have effectively duplicated the process of purification that takes place in nature, only much faster. I have drunk this water, and it tastes like any bottled water. Orange County takes this water and dumps it onto the ground to be naturally filtered, so that it can replenish groundwater to supplement drinking supplies. With wastewater recycling, L.A. could produce 100 billion gallons of bottle-quality water a year, or about half of our total water needs. This is a supply that is not dependent upon a distant source or subject to interruption by economics, politics, or damage to the water transport system. There is a plan from LADWP to recycle this water on a small scale, but it does not take full advantage of the opportunity. Desalination is expensive, but right now LA is dumping clean fresh water to the ocean. Instead, LA could do a bit more purification and have 100 million gallons more of drinking water every year, saving vast quantities of water that would normally be shipped from Colorado and Northern California. Would I drink that "toilet to tap" water? You bet. Municipal sources of water already contain some amount of treated wastewater, it's just usually gone through a river or lake first. The purified water like Orange County produces would be even cleaner than what I'm drinking now. If you don't read Watts Up With That and you don't believe in anthropogenic global warming, you should give it a look. In case the video ever is removed, here's the text: "Who is the enemy? Is it the alien? Well, we are all alien to one another. Is it the one who believes differently than we do? No. Oh, no, my friends. The enemy is fear. The enemy is ignorance. The enemy is the one who tells you that you must hate that which is different because in the end that hate will turn on you and that same hate will destroy you." I've been meaning to comment on the very sad case of Jahi McMath. For those who don't know, Jahi was a young lady who was having trouble with sleep apnea. I'm not her doctor, so I can't be sure of the details of why surgery was deemed necessary. From her photographs, it looks very much like weight loss would have been a safer, healthier way to help solve her problem. I suppose I have the benefit of hindsight, knowing the outcome doctors couldn't have foreseen when they recommended surgery. The surgery included removing Jahi's tonsils, adenoids and uvula. It's a routine surgery, but definitely has risks, as some of the tissues to be removed are very close to the major arteries of the neck. Jahi was one of the very, very unlucky few who have complications following the surgery. "Jahi underwent surgery Dec. 9 to remove her tonsils, adenoids and uvula at Children's Hospital Oakland. She was declared brain-dead three days later after going into cardiac arrest and suffering extensive hemorrhaging in her brain. At least three neurologists confirmed Jahi was unable to breathe on her own, had no blood flow to her brain and had no sign of electrical activity." The family wouldn't believe it, though. Jahi responded to touch. For the curious, even a brain-dead person can do that because some response to stimuli is handled by the nerves in the spine. It can look a lot like the person is still alive, but they aren't. Let me pause to say I'm not unsympathetic to the family. My own child isn't much younger than Jahi, and had her tonsils out at age seven to put an end to chronic strep throat infections. Losing her following that surgery would have been absolutely devastating. Any parent can imagine the pain Jahi's parents are going through. None of us wants to experience it. Unfortunately, keeping Jahi on a ventilator won't really help. She is brain dead. Her brain has no blood flow and is very literally decomposing in her head. The ventilator and feeding tube aren't keeping her alive, but just slowing her body's inevitable decomposition. As desperately sad as this situation is, there's no benefit to what the family is doing. They're drawing out their own pain. I've debated the benefit of commenting on this story at all, but I do it in the hopes that more people will understand brain death and help teach others so when tragedies do happen, families can choose closure or even to help others rather than prolonging the grieving process. prohibitive and, most importantly, is not proven to aid in preventing or solving crimes." While Smith & Wesson is right, the law is going to be very successful in terms of its actual purpose. Anyone with any familiarity with firearms realizes microstamping won't solve crimes, and I'll explain more below. Fortunately for the lawmakers involved, the plan was never to solve crimes, but rather to make firearms more expensive and harder to buy in California for lawful gun owners. Mission accomplished. What is microstamping? The firing pin of a semi-automatic weapon would imprint a unique, identifiable mark on the cartridge casing (the primer cap, specifically) of a round when the weapon is fired. Here's the first problem: the technology for mass production doesn't exist. There are prototypes that are unreliable, but there isn't a way to put even the unreliable technology into millions of guns. If you know nothing about firearms, this technology seems like it might be helpful in solving crimes. In practice, it would be less effective than New York and Maryland's "ballistic fingerprinting" laws. The idea behind those is that you can help solve crimes CSI style. Each new gun is test fired and the unique pattern imprinted on the bullet by the rifling of the firearm is put into a database. If a crime is ever committed by a gun, they'll be able to match the "fingerprint" to the gun. Tens of thousands of firearms are in the databases in those states now. To date, I'm not aware of a single crime solved because of that information. Much like human fingerprints, it turns out rifling in gun barrels isn't as unique as advertised, and circumstances of impact can render the patterns unusuable (much like a very smeared fingerprint). Even if you can identify the gun involved, see point 1 below. It won't normally do any good. Microstamping would be even less useful, since the casing ejected from the gun doesn't actually harm anyone. It might just establish a certain gun was used in a crime. By now a reader might wonder, why wouldn't that help? 1. Use of stolen or illegally imported guns would defeat microstamping. Most guns used in crimes are stolen guns. A database of the registration* information of that gun, the microstamping information, or even the "ballistic fingerprint" won't help solve the crime, as it will only point back to a stolen gun. In fact, it's a waste of taxpayer money, because it's not a lead for police, it's a dead end they must waste time chasing down. Further, with a completely unsecured border to our South, plenty of illegal guns come in and they won't have microstamping technology incorporated into them. 2. A simple misdirection would defeat microstamping. A smart criminal with a bit of time at the crime scene could pick up his own casings and then dump a bag of spent casings collected from a range or other source at the scene of the crime. Not that he'd bother with this subterfuge since he's probably already using a stolen or illegally imported gun, but it could be done. 3. A criminal, being a criminal, could illegally replace the firing pin of a pistol with a replacement shipped from Mexico, or bought in any other U.S. state. Again, this is more effort than they're likely to go to because of point 1. They're not going to bother legally obtaining a firearm to the illegally modify. They'll just by a stolen or illegally imported gun. Those are just the quick and easy ways I can think of to defeat microstamping, never mind the simple fact that a criminal could replace a firing pin pretty easily. What's the impact on a lawful gun owner? Precisely what California lawmakers intended. Firing pins, just like any piece of metal striking another piece of metal repeatedly, wear out over time. They have to be replaced. It would now be either a crime, or very expensive for a lawful gun owner to replace a worn out firing pin. So not only is the cost of purchasing a gun going to be significantly raised, but maintaining your firearm now becomes significantly more expensive, or even criminal. That's assuming you can find a gun manufacturer to buy from since the technology doesn't exist to allow them to comply with the law to begin with. To recap, microstamping won't help solve crimes. Instead, the very foreseeable result of this legislation is the harrassment of lawful gun owners and the potential criminalization of simple maintenance of a firearm. Any law that targets lawful owners instead of criminals is a bad one, but that doesn't matter to the wrong-headed leftists in the California legislature. They want the police to be the only ones with guns, and they see lawful owners as criminals to be hunted down just for daring to exercise their 2nd amendment rights. 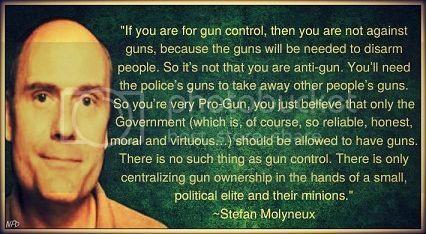 Those who want to ban guns depend on the ignorance of the general public to carry out their plans. If all of the above is too complex, the picture below presents the more general argument. *I've actually become opposed to mandatory registration of guns, since the only use of registration lists to date has been to track down and disarm lawful owners following the Katrina disaster. Registration is simply a precursor to disarmament. The Armed Citizen posts are added to remind people that while the news publicizes criminal mass casualty events involving guns, firearms are used far more frequently by lawful citizens protecting themselves and others. 1. the belief that all members of each race possess characteristics or abilities specific to that race, esp. so as to distinguish it as inferior or superior to another race or races. Many families wishing to adopt choose a child that matches them racially. They can pretend the child is biologically theirs. The child doesn't look out of place in their family, drawing odd looks from the intolerant or even racist. It takes courage and love to accept any child who needs a home. So imagine that your family has unreservedly opened your hearts to a child. You didn't care what the child might look like. All that mattered was he or she needed a loving home, and you were going to provide that and love that child as your own. I've seen this first hand. A white family in my congregation adopted an Asian child. There is no distinction by parents or siblings. That little girl is the baby of the family, a little princess and loved by all of them. To my knowledge, no one if the congregation treats her any differently than any of the other children. That's because we don't care what race someone is. Now imagine, having not assigned the least bit of importance to skin color, you're mocked for your open-hearted, loving choice on national television. That's what happened to one of Mitt Romney's children. It's really worse than that. The MSNBC panel member actually mocked the black adopted child directly. Here's the article from the LA Times. I chose the LA Times, because they included follow up details. The panel member sang of a beautiful family photo of the Romneys including Mitt holding the two youngest grandchildren on his knees (one black one white) the familiar Sesame Street song, "One of these things is not like the others." Ah, so the Romney family makes no distinction based on skin color, but the enlightened Leftists of MSNBC do. Well, that's as progressive as eugenics, I suppose. According to the LA Times, many panel members made jokes. This is particularly cruel and pointless given that Mitt Romney, a two time failure in his presidential bids, is unlikely to seek office again, so there's no need to attack him. "I am sorry. Without reservation or qualification. I apologize to the Romney family. I work by guiding principle that those who offend do not have the right to tell those they hurt that they r wrong for hurting. Therefore, while I meant no offense, I want to immediately apologize to the Romney family for hurting them. As black child born into large white Mormon family I feel familiarity w/ Romney family pic & never meant to suggest otherwise. I apologize to all families built on loving transracial adoptions who feel I degraded their lives or choices." You can find the actual screenshots online if you like. Here's my reading, "I'm really sorry without qualification, oh, except that they're white and Mormon so it's awkward for them to have a Black baby in their family. I'm apologizing, but I still don't think a Black child belongs in a White Mormon family." She's assuming a lot about white families. It's pretty close to the definition of racism given above. Assuming racial characteristics of whites certainly is, and assuming anything about all Mormons is bigotry at the least. Sacramento has long been considered one of the most integrated cities in America, and Sacramento's Mormon stake, or network of 13 parishes, reflects that, said stake President John Cassinat. "We could be the most culturally diverse stake in the U.S.," he said. The 5,000 Mormons in Sacramento also include immigrants from Nigeria, Ghana, South Africa, Thailand, the Philippines, India, Laos, China, Japan and Korea, as well as Europe and the former U.S.S.R., said spokeswoman Sue Ramsden. If Ms. Harris-Perry had set foot in an LDS meeting in the congregations surrounding New York City (I served as a missionary in Booklyn and Queens) she'd have been hard-pressed to keep her bigoted view of Mormonism, since she'd have had a hard time finding a White member in many of them. The Church's world-wide missionary effort is changing the face of Utah, with many legal immigrants coming to the center of the faith from all nations. I've digressed a bit, but even in apology, Ms. Harris-Perry is dreadfully wrong and bigoted. Adopting a child is an act of love. Doing so unreservedly and without regard for race is possibly even a nobler act, though I'm sure the families doing it don't see it that way. Those families just want to help and love a child who needs it, and they actually do it without qualification. Instead of seeing the beauty in that, MSNBC chooses to mock it. I'd expect nothing less of Progressive Leftists.